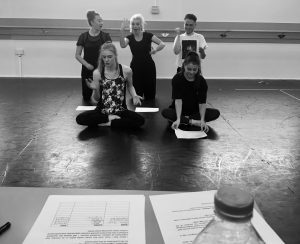 After a final three intensive days in the studio last week (2-4th July), we completed our first public sharing of the work in progress ‘Miscommunication Reigns’ in ‘Originate’ Dance Platform at BAC Kendal. A shout out to all organisers of the platform, especially Emma Thomas who worked tirelessly to ensure the event ran smoothly throughout the day. It was a pleasure to be part of such a wonderful showcase and celebration of local young dancers and groups. 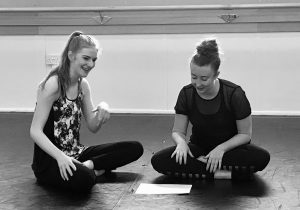 We were blown away by the level of talent as it keeps on growing across the region of Cumbria. 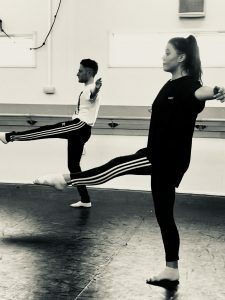 The Dance Ahead performers danced with precision and dynamism and I could not be happier with the scope for ongoing development of this project. We received some extremely useful feedback and look forward to continuing the research in the event we can secure some funding for its development. 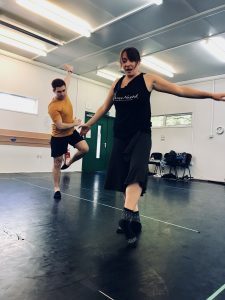 The interdisciplinary benefits of the techniques I am beginning to explore with our dancers have been particularly interesting to discover. 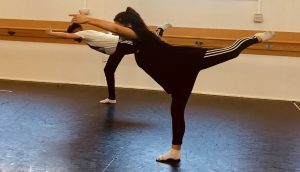 The approaches to ‘Kinetic Reading’ are varied and vast and we really have only just begun to explore the tip of a complex web of choreographic and compositional devices as a result of this bilingual study. 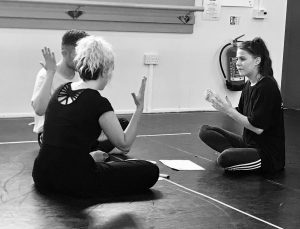 I am keen to approach, and/or here from educators/academics who have experience of working with text and numeric scores through dance. 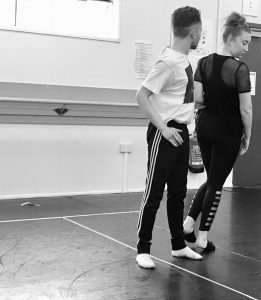 Is this a Dance Ahead Choreographic Device in the making? We couldn’t have achieved this without your willingness to commit, contribute and believe! The week consisted of a daily morning contemporary class led by Zoë Leigh Gadd (exploring a variety of techniques), textual analysis in relation to choreographic approaches in both English and Spanish and initial responses to choreographic devices. 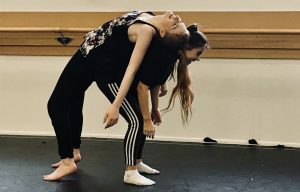 The opportunity to be in residence at the University offered a fantastic opportunity for Zoë to begin a fresh line of enquiry in recent research centred on text, dance and sensory experience. In October 2017, Zoë gave a performance presentation at Borderlines Book Festival, Carlisle. 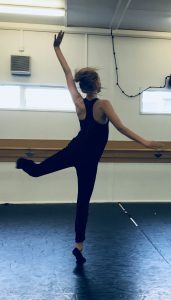 Since then, she has become increasingly interested in the potential for creating a score-like approach text and dance, as well as the syllabic difference between English and Spanish. This was made possible through a deeper exploration of Chilean poet and antipoet, Nicanor Parra and his poem Aromos (Acacias). 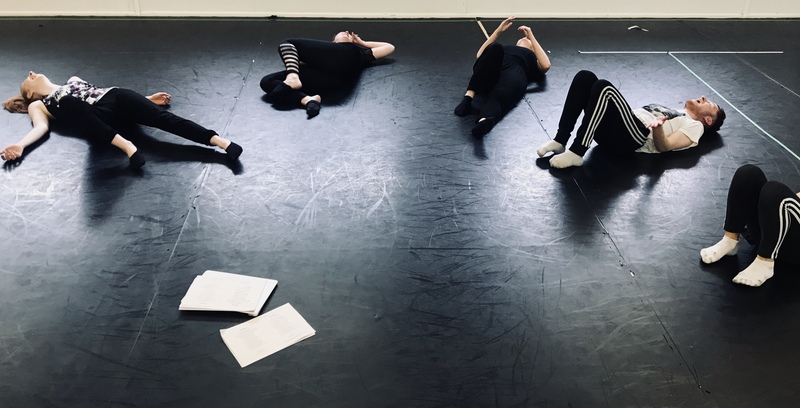 The group will meet again at the beginning of July to create a short work in progress that will be presented in Kendal as a development of the initial research, with a view to creating a fuller work in 2019.